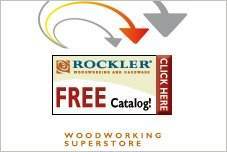 Build a variety of workshop carts for transfering or storing supplies and tools. Below are many carts that can be customized for different tasks. Choose shop cart plans for lumber carts, plywood storage carts, general shop carts, planer carts, power tool carts and more. 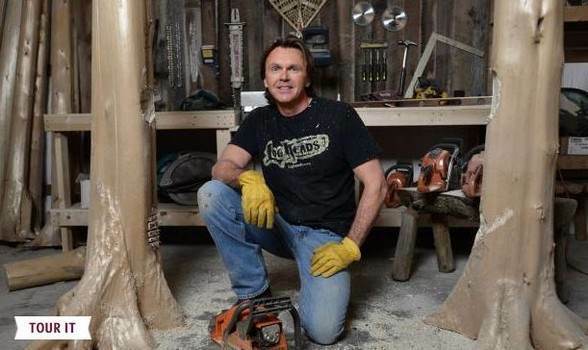 All of these will make your workshop easier to work in. Moving things around your workshop just got easier! You can easily reduce shop vac noise with this easy to make sound reduction cart. 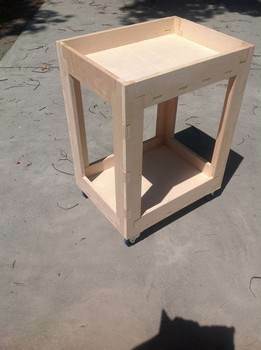 This low-cost shop cart was build using scrap wood and a set of casters for ease of mobility. 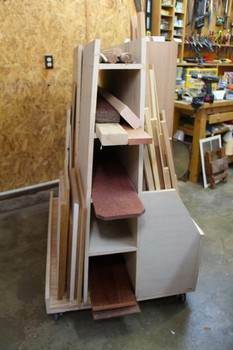 Help keep your shop organized by building a mobile shop cart using this woodworking plan. 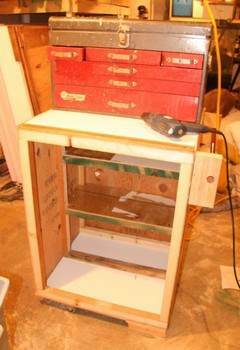 This mobile toolbox is designed to store hand tools and power tools in a small shop. 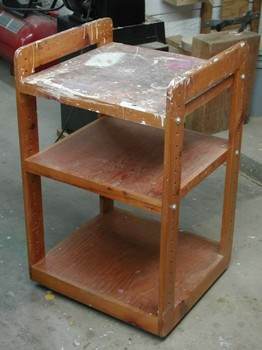 Create this mobile wooden work cart with tons of storage and a large work surface. 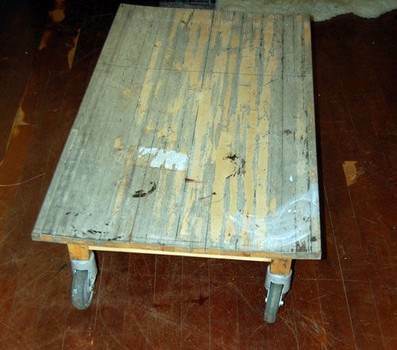 You can easily transport heavy items using this easy to build floor cart on wheels. 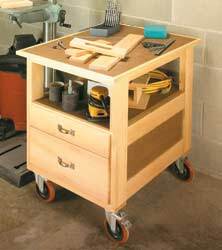 Build this strong and sturdy wooden tool cart that can easily support a heavy tool box. 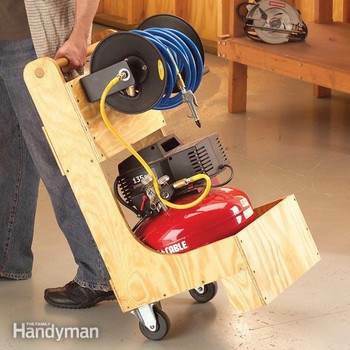 Make this sheet goods cart on wheels to help keep your work shop organized, clean and tidy. 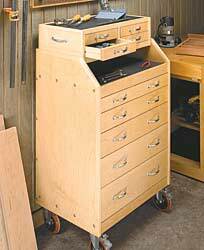 Keep tools organized and within reach with a mobile tool cart built using this plan. 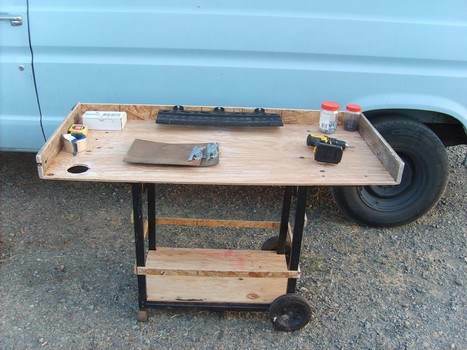 Take an old propane BBQ frame and turn it into a work cart using this simple plan. 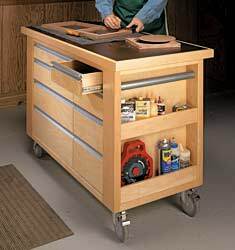 This cart has lots of storage space for lumber, clamps and a mounted power saw. 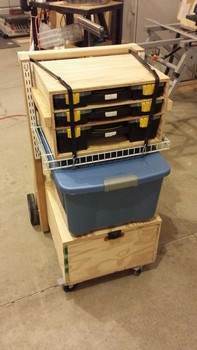 Build this simple open storage cart that is perfect for transporting materials in the workshop. 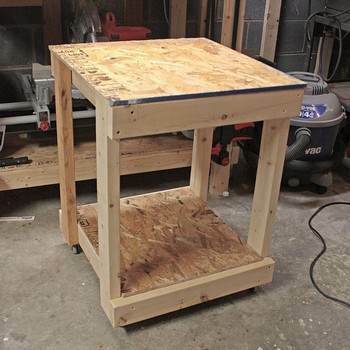 Find detailed instructions on how to build a workshop cart to hold tools and other items. 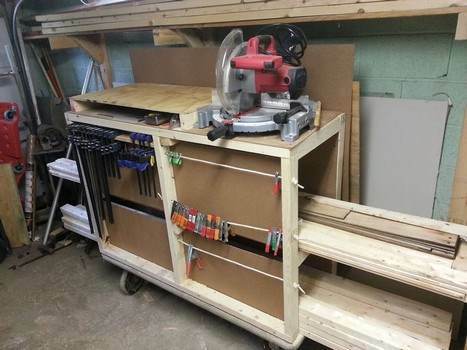 Build this mobile storage cart for storing lumber, hand and power tools plus other items. 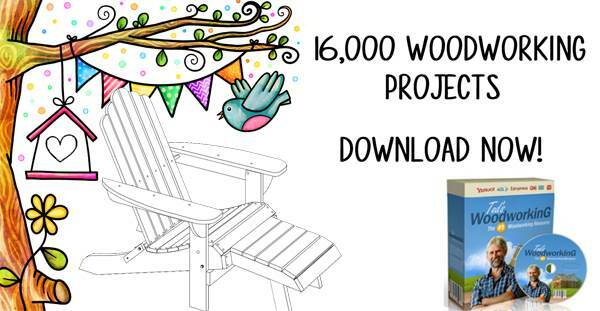 Store plywood and other sheet goods on a wooden lumber cart using this detailed plan. 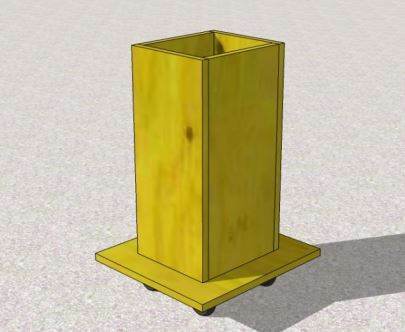 Here is a simple plan for a cart on wheels designed exclusively for an air compressor. 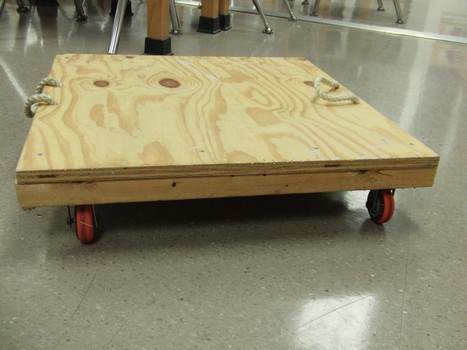 Using a sheet of plywood and a few other supplies you can create this simple trolley. 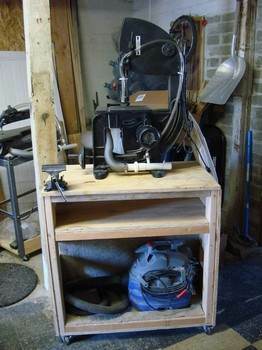 Build a mobile garage cart that requires few materials and a small amount of cash. 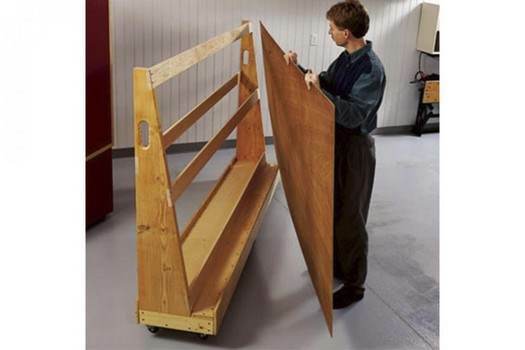 This is a woodworking plan for a heavy duty transport cart you can easily make on a budget. 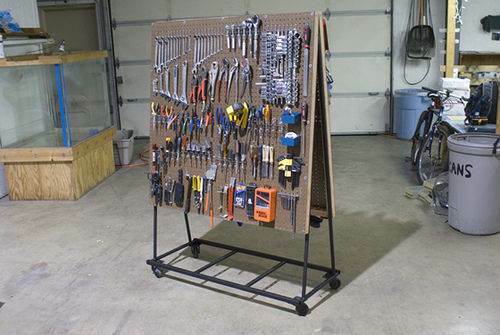 Apply peg board to a metal A-frame on wheels for a tool cart that can hold a lot of tools. 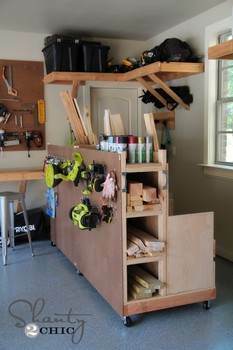 Build a tri-level shop cart with adjustable shelves for your workshop or garage. 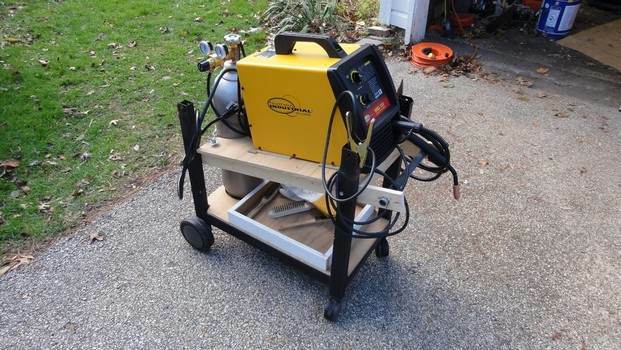 Turn the frame of an old gas grill into a useful welding cart on wheels using this inexpensive plan.